Marek Hamšík is the oldest of the "Three Young Hopes of Slovakia", a group of players that in many respects differs from Peter Dubovský, whose star shone so brightly on the Czechoslovak football scene in the early 1990s. Hamšík, just as his fellow midfielders Miroslav Stoch and Vladimír Weiss Jr., left Slovakia in his teenage years, aged 16. Stoch and Weiss Jr. were products of well-established "football factories" - youth teams of first-league sides - FC Nitra in Stoch's case [Ľubomír Moravčík's former club] and Inter Bratislava in Weiss's case. Both players were transferred to Premier League teams, [Chelsea and Man City respectively], excelled in their youth academies and, following their "graduation", faced quite a fight to secure a place in their clubs' "we-do-not-buy-a-player-for-less-than-£10m" line-up. The story of "Marekiaro" is different. Hamšík, aged four, joined his local youth team Jupie Podlavice. The team was founded by a couple of youth coaches and although it might have stood in the shade of Dukla Banská Bystrica, the first-league side of Hamšík's home town, it has produced a surprising number of promising players [Slovakian U21s Jakub Sylvestr and Andrej Rendla]. His single-mindedness put him a step ahead of his teammates, and he was given a trial for Sparta Prague - the transfer did not go ahead as Hamšík's father Richard [a former football player] failed to find a job in Prague [transfer conditions for U18 players at the time specified that either the player's parent had to find a job in the club's town or the player in question had to attend a local school]. Marek was given another trial for ŠK Slovan Bratislava, which was keen on signing him, but not that keen on paying the transfer fee that Jupie Podlavice demanded. 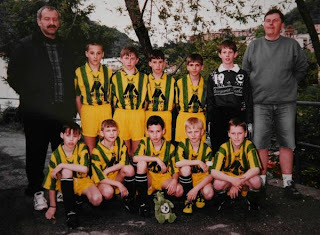 In the end, Richard Hamšík stepped in and after taking out a loan in order to settle the bill, Hamšík found himself in Slovan, winning the league title in both youth categories ["junior" and "senior cadets"], an achievement not seen at Tehelné Pole since the days of Peter Dubovský. Hamšík also featured in numerous U17 and U19 fixtures for Slovakia and played a single game for Slovan's senior side, sealing its victory 4:1 against Tatran Prešov in the extra time. 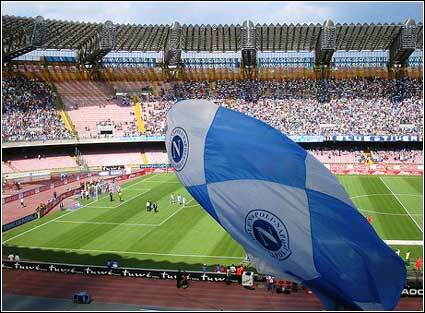 He caught an eye of Brescia Calcio and €500,000 later moved to the soon-to-be-relegated Seria A side. Two things should be noted about Hamšík's move that contrast so starkly with Dubovský's story - firstly, even at his early age, Hamšík had already been through an experience of living away from his parents (Dubovský suffered quite heavily from homesickness after his move to Real Madrid); secondly, Hamšík found himself in a club that offered him a realistic chance of playing - and the young Slovakian took this chance by the scruff of the neck. 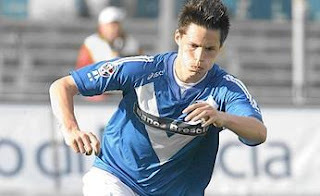 Hamšík the Teenager - "The Italian Job"
Hamšík's debut for Brescia came four moths before his 18th birthday, in a 3-1 defeat to Chievo Verona in March 2005. He played 25 games for Brescia in the 2005/06 season without scoring a goal - the following season he got cool 10 [goals] in 40 [games]. According to one football rumour , which is reportedly true, during one Brescia training session he converted 56 penalties in a row. The 2006/07 season was a real breakthrough - Hamšík earned his first cap for Slovakia in a friendly against Poland in February. Following a qualifier against Germany [1-2], in which Hamšík played full 90 minutes, Slovak dailies displayed a transfer hype unseen since the days of Dubovský - SME reported that Inter and AC Milan, Juventus, Chelsea, Liverpool, Manchester United, Barcelona and Real Madrid were keen on signing the youngster. These transfer rumours excited the Slovakian football public, with the general consensus being that finally, after more than 15 years, Slovakia produced a talent comparable to that of young Dubovský; some did, however, warn against such an early move, remembering how quickly Dubovský's star faded away in Real Madrid. It was Adam Smith's "invisible hand of the market" that settled the deal once for all - Napoli's €5.5m bid came rather unexpectedly and Hamšík penned a 5-year long contract on 28/06/07. The stage for a player, who was to be known as "Marekiaro", was finally set - in the words of Aurelio de Laurentiis, Napoli's chairman, he was to be "the one for the future". Hamšík had a solid start of his first season for Napoli - in his first-ever competitive game for the Partenopei [against Cesena in an Italian Cup fixture], he provided an assist for Ezequiel Lavezzi's opening goal and scored one himself just minutes later [after Lavezzi's assist]. A new partnership was formed and the words of De Laurentiis, Napoli's chairman, were already being revised by some and left others wandering, whether the future had arrived much earlier than expected. A month later, Hamšík scored his first league goal in a game against Sampdoria. He scored 8 more goals for Napoli in the 2007/08 season [in 37 games], becoming the club's top scorer - an impressive achievement for the young midfielder. His goal against AC Milan was a particularly good one, with "Marekiaro" opening the scoring sheet after an impressive run from Napoli's penalty area. Napoli did beat their rivals from the north 3:1 and "Marekiaro"'s status as the fans' favourite was cemented as he was being substituted off in the 89th minute - the San Paolo erupted with a roar unheard since the days of legendary Diego Maradona and Careca. During the same season [in February 2008] he was voted the second best Slovak footballer of the year, and also received the Peter Dubovský award for the best U21 player. Scoring his 7th of the 2007/08 season. Hamšík's streak of solid performances has continued - in the 2008/09 season he became [yet again] Napoli's top scorer [with 9 goals (and 6 assists) in 31 games]. The current season promises to be the best one so far - after 17 Seria A games "Marekiaro" is once again providing Napoli with a steady input of goals [8G+2A]. Another of his vintage performances came on the last day of October 2009, when "Marekiaro" led Napoli's comeback [from 2-0 for the home side to 2-3] on Juve's Stadio Olimpico - he scored Napoli's first and, more importantly, the game winning goal - you'd better watch the reaction of one Italian commentator [Carlo Alvino] to this decisive strike - it does not disappoint. “I make more than I can spend already, far more in fact. I will give 100 per cent regardless, because I’m happy to be here. So if that extra money makes somebody else happier to play for Napoli or helps the club attract better players, I would rather they spend it that way. "It’s the kind of talk which infuriates agents and delights supporters", adds Marcotti. Hamšík has played a major role in Slovakia's successful qualification for the 2010 World Cup and captained the team [aged 22] in the decisive encounter with Poland in November. Some fans criticized him for not scoring enough goals in all the important games [he got two in the entire qualifying campaign - against Northern Ireland in September 2008 and converting a penalty against the Czech Republic a year later]. 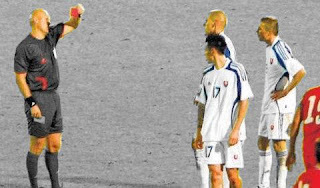 Other fans showed their anger in the aftermath of the September encounter with the Czech Republic - following his successful penalty conversion [that put Slovakia 2-1 up], Hamšík was booked for over-celebrating [more precisely jumping across the advert barriers] and a mere minute later sent off, following a clumsy challenge on Milan Baroš. Slovakia conceded a goal ten minutes later and was rather fortunate not to have lost this crucial derby. Despite this crucial mistake, Hamšík's overall contribution cannot be praised highly enough. In contrast to his role in Napoli [attacking midfielder], his attacking appetite is slightly more constrained when wearing the Slovak white/blue top - he is the crucial link between the back four and the attacking players, a position that requires tireless running up and down the field, flawless passing and often even gritty defensive work. 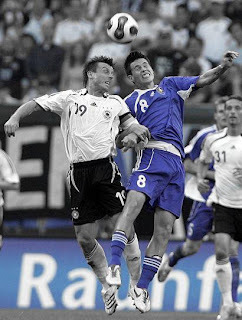 Hamšík disappoints only rarely and earned the team's captaincy in the final [make or break] game of the 2010 World Cup qualifying campaign. He has the same ability that made Peter Dubovský such a great player for Czechoslovakia and Slovakia - the ability to lead by example and inspire his teammates to above-average performances. Hamšík is an absolutely vital component of the Slovakian football machine and most fans will be looking to him in Slovakia's Group F fixtures against New Zealand, Paraguay and Italy. He has been compared to Frank Lampard and some even claim that Hamšík is, given his age, even better. At the same time, "Marekiaro" remains modest and leads a settled life. He often claims to find mistakes in his performances ["I’m still young, I’m improving"] and always tries to shift the media attention away from [his] individual to team performance [just watch some of his post-match interviews - in case you speak Slovakian/Italian]. Unlike many other young football stars, he seems settled down and his long-term girlfriend [they have know each other since the age of 13] is currently expecting a baby boy - various Slovakian dailies have quoted Hamšík saying that he wanted to raise his son in Neapol, hinting at his long-term commitment to the club that showed his talent to the wider world. Is it all too good to be true?